Heat has many industrial applications. The proper use of the right heat technology and the right product is necessary to achieve optimum results for each heat application. Master Appliance is continually developing new heat tool products and techniques to meet the demands of the widening market of new applications. Master heat tool products are designed and constructed to provide our customers and their industries with the most dependable, cost-effective ways to apply heat properly. Master heat guns are the original professional quality, heavy duty, and multiple use heat tools. Master Appliance Corp. introduced the first quality industrial heat guns to the worldwide market place in 1958. With over 50 years of experience in the industry, the Master Appliance name assures customers of exceptional expertise in heat tool products, technologies, and customer service. Our original heat tool met the heating needs of the maintenance, repair, and the applications industries. Today's Master heat tool products are designed with expanded capabilities that make it easy to work with the growing range of new materials and processes being developed by each industry. Our flameless heat guns have many applications, and they primarily get the job done better, faster, and at a lower cost. They are portable, safe, indispensable, and offer instantly controlled heat where and when you want it. 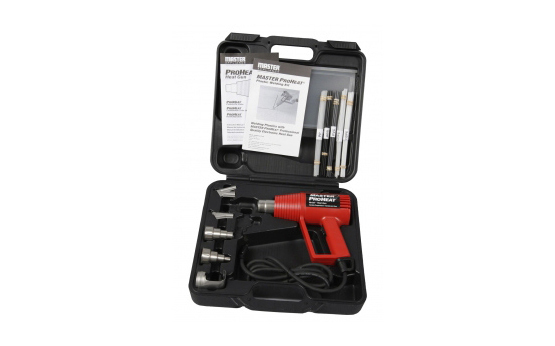 When it comes to Heat Guns, we have you covered! Choose from five different Heat Gun Categories to select the right heat gun for your applications. Master Heat Gun® HG Models are professional quality, heavy duty, multiple use heat guns, which feature high temperature, power and airflow ratings for many industrial and commercial heating applications. This heat tool is the Standard of Industry. Get the job done fast with a Master Heat Gun. Varitemp® Heat Guns are the variable temperature version of the professional quality Master Heat Gun. Dial-in any temperature from ambient to 1000°F and perform the application of your choice. 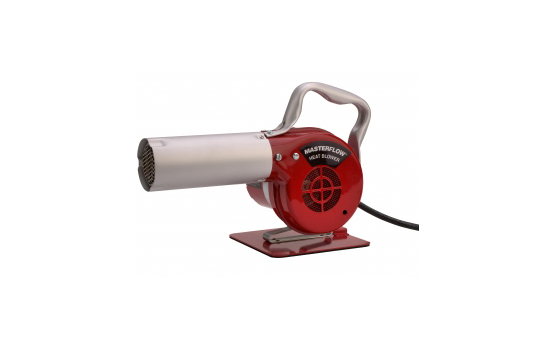 In addition, a wide variety of attachments are available making Proheat heat guns very versatile. The Proheat heat tool is also available in professional kits that include a variety of attachments and a high quality storage / carrying case. Ecoheat® Heat Guns are economical, low cost, lightweight, multi-use heat guns. They are suitable for many basic heating applications and available individually or in a kit with attachments and storage carrying case. Master-Mite® Heat Guns are a complete continuous duty bench-top heating system. They have the perfect heat and airflow to perform heating jobs without excess airflow. The Master-Mite’s quiet running motor is perfect for use in production areas. An ESD (Electrostatic discharge) model is also available that will not build up or hold a static charge. 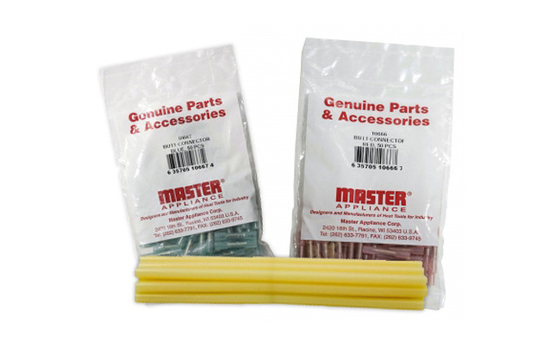 Master Appliance Plastic Welding Kits - The Master Proheat Welding Kit makes fabricating and repairing thermoplastics fast and simple. This kit is a general purpose self-contained plastic welding system for hot air welding a wide variety of thermoplastics. Speed welding, pendulum welding, tack welding and mirror welding techniques are easy when using the wide selection of specially designed professional welding tips. They are also great for conveyor or machine mounting and over work benches. The Masterflow Heat Blower is rugged, dependable, and time proven. Master Appliance Butane Products - If you are looking for complete cordless portability in a heat tool product, then Master’s Butane Powered products are for you. Our Butane Powered Soldering Irons, Heat Tools, Microtorches, and Glue Guns are all completely portable and all professional quality. We recommend that these products be fueled and powered by Master Ultratane® Butane, which has a triple refined, non-clogging formula and a special vapor pressure for consistent self ignition of butane powered heat tool products. Master Ultratane Butane products are the only butane recommended to fuel all Master butane tools. It’s the perfect fuel for filling and refilling Master Microtorches, Ultratorch Soldering Irons / Butane tools, and Portapro Glue Guns plus other butane products. Ultratane is available in 3 convenient sizes: 5 1/8 oz (145 gram), 3 ¾ oz (106 gram), and 15/16 oz (26 gram) canisters. Our 3 ¾ oz and 15/16 oz sizes meet ORM-D consumer commodity class and can be shipped via ground transportation without hazardous material charges. Ultratane butane products have a triple refined, “non-clogging” formula that prevents clogging of internal filters and a special vapor pressure, which promote consistent self ignition of butane tools. It also contains no CFCs (chlorofluorocarbons) and will not harm the ozone layer. Each canister comes with a convenient, single piece filler tip, which fits multiple size orifices. Shipping cartons are pre-marked and labeled per Department of Transportation (DOT) regulations. For best performance, use Master Ultratane Butane products with your butane tools. 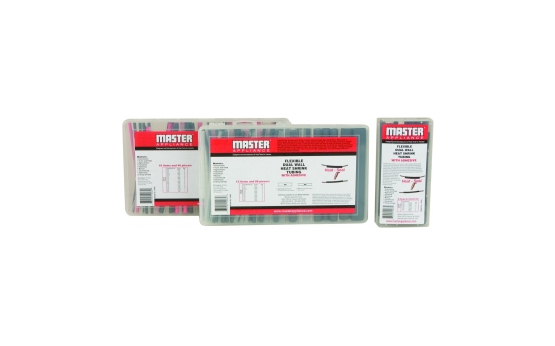 Master Appliance Heat Seal Connectors - Seal your electrical systems with our complete line of Master Heat Seal Connectors. The past few years have seen the advent of sweeping technological advances in the automotive, fleet, and marine industries. Many of these advances involve improved electrical systems, which are primarily controlled by miniature onboard computers. Consequently, small variations in voltage can significantly affect vehicle performance. To combat these problems and increase longevity, major manufacturers in these industries are using completely sealed electrical systems. Unfortunately, the repair and maintenance industry is lagging behind. The integrity of sealed electrical harnesses is often breached when repairs are made with inferior, unsealed electrical connectors. Master has the solution. Heat shrink connectors are an innovative solution that allows the aftermarket to keep pace with changing technology. Each repair made with a heat shrink connector is individually protected from corrosion, contaminants, and current leakage. This ensures that the original integrity of the wiring harness is maintained. Our Heat Sealed Connectors resist water, condensation, salt, and other contaminants in addition to wire pull out and current leakage. We have a complete line of unique Heat Seal Connector aftermarket kits, all of which are easily terminated by a variety of Master Heat Tool Products. Dual wall tubing features a special adhesive thath seals the insulation when heat is applied. The thin wall tubing is highly flexible, and easily conforming to irregular shapes. These unique Heat Shrink Tubing kits are available in a variety of tubing sizes and colors. Master Appliance Crimping Tools – Master offers two Crimp Tool models in our heat tool product line. Multi-purpose Hand Tool - it crimps, cuts, and strips wire. 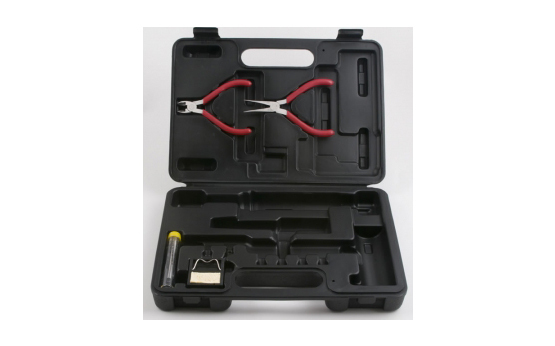 Full-cycle Hand Tool – it is a ratcheting crimp tool for terminating heat seal crimp type connectors and other crimp connectors. Both have color coded crimp numbers for easy size identification. Master Crimp Tools are the perfect solution to meet all of your crimping needs. Master Appliance Heat Tool Accessories - Add versatility to your heat tool products by using Master Heat Tool Attachments and Accessories. Master’s heat gun attachments enable you to pinpoint, reduce, spread, reflect, deflect, and weld using heat. Ultratip® Soldering Iron tips / attachments feature our unique Ultratip design and copper based tips. They come in a wide variety of tip styles and sizes. In addition, we have accessories such as bench stands and storage / carrying cases for most of our heat tool product models. Because each application is unique, the Master heat tool product line offers options such as varying temperatures, airflow, nozzle configurations, and voltage/plug combinations to meet your needs. A complete range of attachments makes Master Heat Tool products even more versatile. The introduction of new plastics, adhesives, and other materials is a continuous process. The range of options and attachments offered by our heat tool products enables you to use the newest materials and techniques while relying on traditional Master quality and durability. There are hundreds of other uses. New applications and processes that require heat tool products are discovered each and every day. Please contact us for a recommendation on your particular use.